If you are like most homeowners out there, you likely have your hands full this summer. 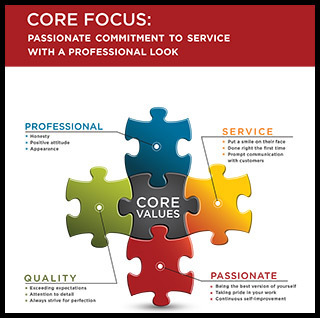 Between entertaining the kids and their friends while they’re out of school, keeping up with yardwork, and trying to make improvements around the home, you might not feel like adding anything else to your already expansive to-do list, but if getting a professional pressure washing for your home’s exterior isn’t already on your list, you might want to strongly consider adding it. Investing in a professional pressure washing for your home’s exterior this summer can easily be one of the best investments you make, providing your home with a number of excellent benefits and helping to keep it looking its best. To help highlight just a few of the reasons why a professional pressure washing is a must-have for your home this summer, our team of experts have taken the time to put together this short list that we hope you will read through and enjoy. 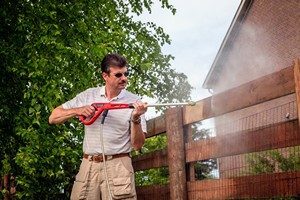 When it comes to any kind of outdoor work, weather is always one of the most limiting factors, and as it turns out, the weather during the summer months is suited particularly well to pressure washing. With the longer daylight hours, we are able to tackle and finish bigger jobs, and accomplish more of them in the course of a single day where it might not be possible at other times of year. In addition, the warmer temperatures ensure that any lingering water left behind is able to quickly dry up, helping to prevent the formation and growth of mold, mildew, and algae on your home’s exterior surfaces. With the frequent rains and humidity of spring behind us, the summer months are an excellent time for pressure washing as you can usually count on the results of your washing to last you a bit longer than they might at other times of the year. With rains generally coming less frequently during the summer months, your home tends to stay cleaner for longer, meaning that you can likely expect your home to continue looking great while you prepare to list it for sale this summer, or while you are planning your next social gathering. With all of the moisture your home tends to collect over the spring, it isn’t uncommon for most homes to develop a bit of mold or mildew growth on their exterior surfaces, and if it is left to grow unchecked, they can quickly start to make the exterior of your home look dirty and dingy, and can even wind up doing damage to your exterior materials over time. By having your home pressure washed this summer, you can eliminate these harmful growths at their source, and with the warmer temperatures and lower humidity, it will take them much longer to come back than it would at other points in the year. 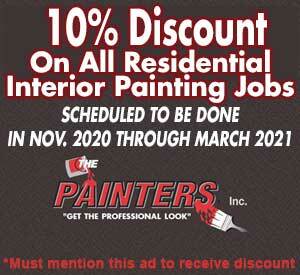 Call our painting contractor team for consultations today! 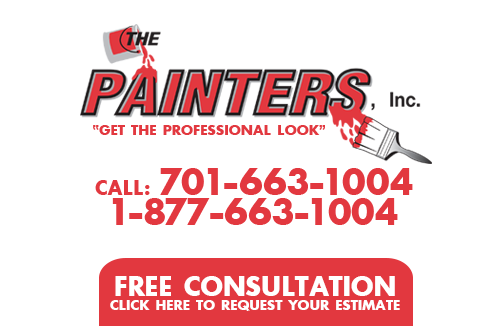 If you are looking for a professional painting contractor in the Bismarck area, give us a call today at 701-663-1004 or fill out our online request form.